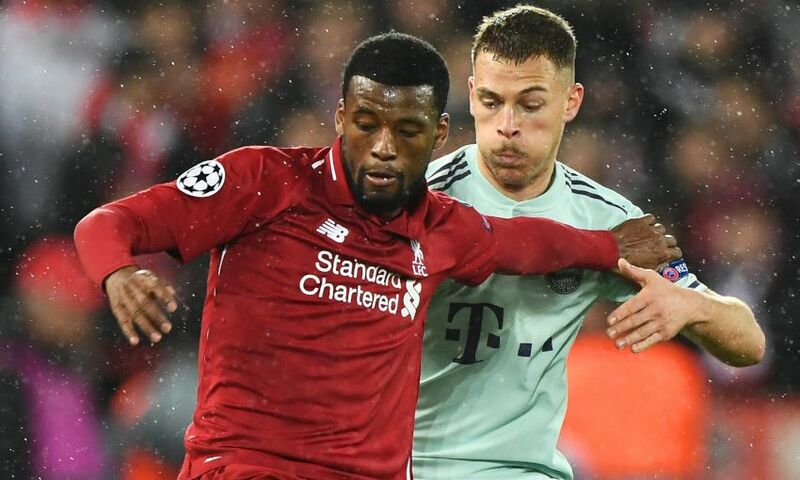 Georginio Wijnaldum cited Liverpool's clean sheet against Bayern Munich as a crucial factor for the second – and decisive – leg next month. The Champions League last-16 tie between the sides is poised at 0-0 after the opening match at Anfield on Tuesday night, during which neither could profit from the chances they created. Jürgen Klopp felt the Reds’ final pass let them down on the evening, a sentiment Wijnaldum agreed with in his post-match assessment of the game. But the Dutchman believes the successful shutout of Bayern means Liverpool have every chance of progressing to the quarter-finals by sharpening their finishing in Germany. “We played a good first half. The second half was OK, we created chances, unfortunately we didn’t score a goal. We were not lucky with the chances. But the good thing is we didn’t concede,” Wijnaldum told Liverpoolfc.com. “The last pass we gave was not that good. Sometimes you have those kinds of games – that you don’t score the chances you have or not give the final pass well. We have to deal with it. “The way we are playing we have the quality to create chances [in the second leg]. That’s why I’m happy we didn’t concede. With Virgil van Dijk suspended for the first leg and Dejan Lovren still sidelined by injury, Klopp moved Fabinho into central defence alongside Joel Matip. And Wijnaldum praised the duo for their contribution to Liverpool’s clean sheet. “They were really good, both Fabinho and Matip did a really good job stopping Lewandowski, still one of the best strikers in the world,” he added.